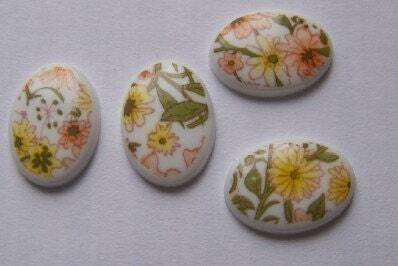 These are really pretty cabochons. They are a vintage plastic cab with an all over random peach and yellow floral design. These measure 18mm X 13mm. You will receive 4 pieces.